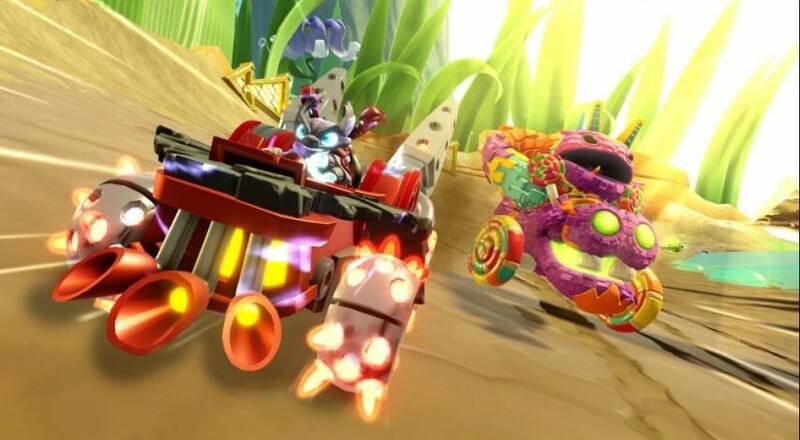 The "toys to life" series of games that the original Skylanders kicked off all those years ago has always lacked one thing in the eyes of us co-op loving gamers: online play. That will change with Skylanders SuperChargers. Now you and your friends can play through the game's Adventure Mode together through the interwebs! While the inclusion of this online support was announced last week, it wasn't clear as to how many players will be supported. Locally, the game only supports one other player but the newly announced online racing mode will allow up to four players to go head-to-head. So it's not currently clear (and Activision/Vicarious Visions aren't exactly forthcoming about) how many players can join in the co-op fun online. The good news is that this online play will be supported by all versions of the game. Once we get more info about it, we'll be sure to update our game page. Until then, enjoy this video that neatly breaks down everything happening with the latest entry. Page created in 0.3824 seconds.